Here we have a adventure movie in the tradition of Indiana Jones done well and with a unique flavor. There have been many Indiana Jones rip-offs over the years, some of which are very entertaining, but with very little originality. 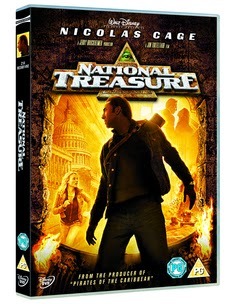 National treasure feels like a mash up of Indiana Jones & The Davinci Code. It feels modern but by dealing with historic places and treasures still holds a sence of mystery and depth. You can really feel the Pirates of the Caribbean crew's influence on this which is no bad thing. The direction is solid if a little formulaic in places but on the whole Jon Turteltaud does a good job - I'm sure Disney picked him out as he is a good all-rounder. The story revolves around a hidden treasure protected by the Free Masons, forgotten and lost. 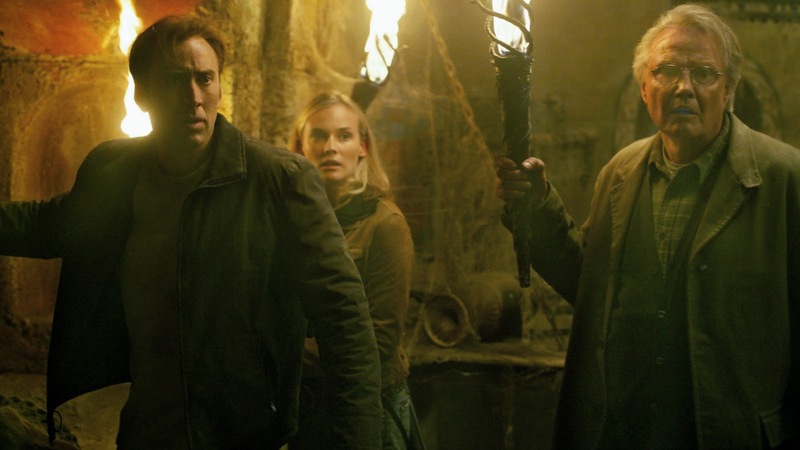 A legend believed to be true bu Nicolas Cage's character but not many others. The cast did a great job. Solid performances all round. Sean Bean plays the Baddie convincingly enough, an easy gig for him. Overall, the pace is good, the story is intriguing, the performances and direction are solid, the locations and effects are great. A thoroughly entertaining experience. The Disney DVD has excellent picture quality and some nice extra features including alternative ending, deleted scenes and a short behind the scenes. Release Rating: 8/10 - Excellent quality transfer, Nice extras.